We feature Free Wireless Hi Speed Internet, Superstart Breakfast with Belgian Waffles, Public access computer in the Lobby. 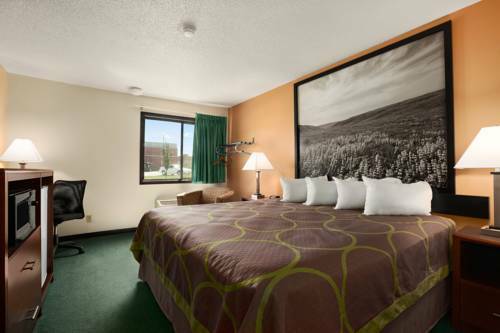 Located on Highway 81 we are convenient to many restaurants, Walmart, Cloud County Community College, Brown Grand Theater, the Hospital and Stained Glass Tours. Monument to the woman who, as a girl, got Lincoln to grow a beard. Delphos has also had visits from a UFO and a Wolf Girl, but you have to ask about them at the Delphos Museum. The late Frank Stoeber's giant twine ball continues to grow, added to by visitors under the supervision of Cawker City residents. The pungent orb topped ten tons and eight million feet of twine in 2016. Chief died in 1968, the last cavalry horse in the U.S. Army. He was buried, standing, in a special hero horse casket. Andy, born without feet, was a celebrity in People magazine before his murder. A tombstone recalls his brief brush with fame.